We just added the ability to switch between custom (default) sort order and sorting by name, deadline or priority in the iOS app. You can download the app from Apple store. v2 preview — fast, responsive interface and tons of new features! The new 5pm interface, called v2, is now available as an open beta! After a long time of development and testing it internally and with a selected group of clients, we just made it available to all accounts. We totally redesigned the whole interface and also added many new features. And the best news is that we are supporting both the new and the existing interfaces. It means you can switch to v2 at any time to check it out, and switch back if you are not ready yet (it will not change it for the other users in your account). Give it a try now! We hope you and your team will love it. 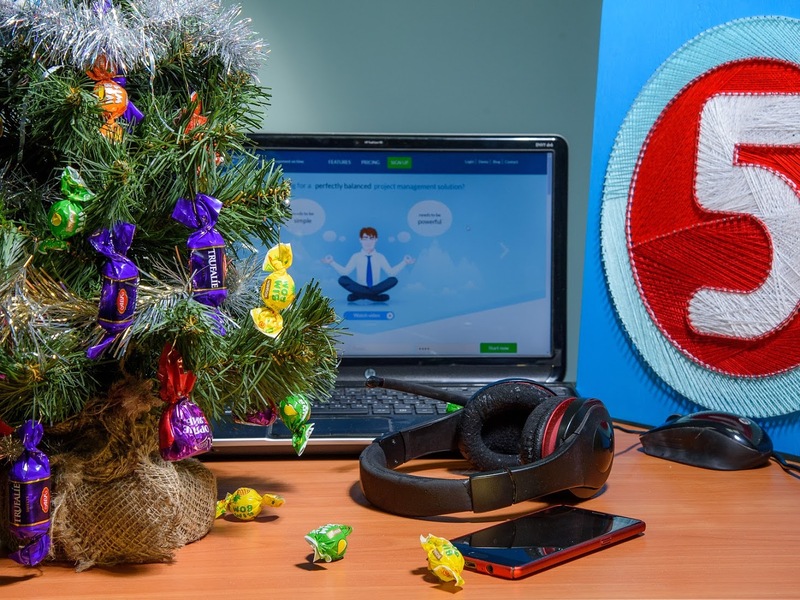 You can send us feedback via support [at] 5pmweb.com or via Facebook and Twitter. You can read more about the widget on our website. 5pm now supports emojis (Win+period shortcut in Windows). 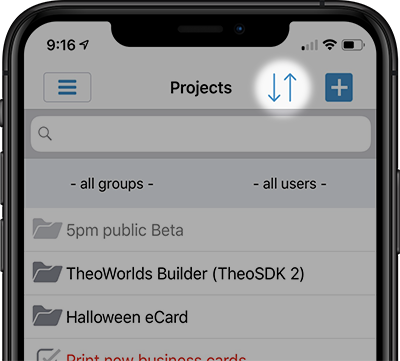 You can add them to the project and task names, into your messages, even your user name. Have fun! 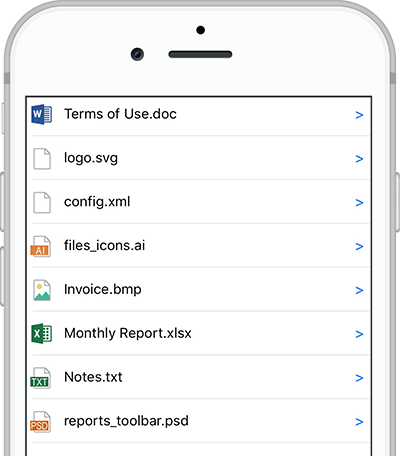 Now you can open and share any supported files (PDF, Excel, Word, Photoshop, Illustrator, etc.) on your iPhone. Till now, the User role allowed people to only edit the projects and tasks they created or the ones they are assigned to. They were not able to close a task not assigned to them, or self-assign themselves to tasks. The only option was to add them to the task team or make them Administrators. To address that, we just added a new flag to the Users profile — “Can also edit projects/tasks not assigned to”. 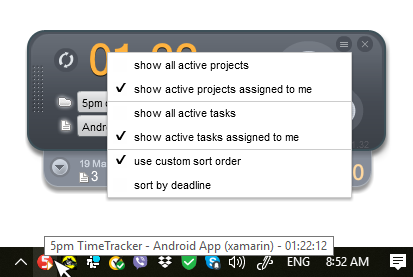 Users with this flag turned on (it is off by default) will be able to edit projects and tasks not assigned to them. Today we are celebrating our 11th anniversary! For over a decade now we have been helping organizations and companies around the world to manage their projects. 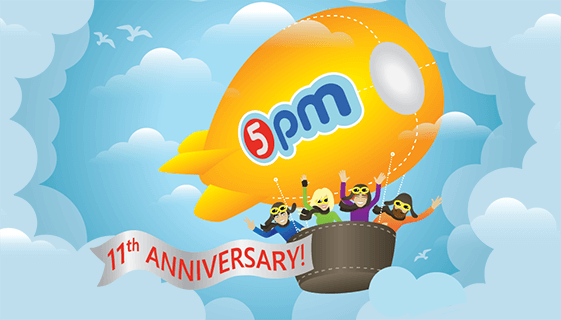 We are working hard every day on making 5pm a better project management tool. Our redesigned, brand new interface is coming out soon! It is available as a private beta now — email us at support [at] 5pmweb.com if you want to get early access to it. 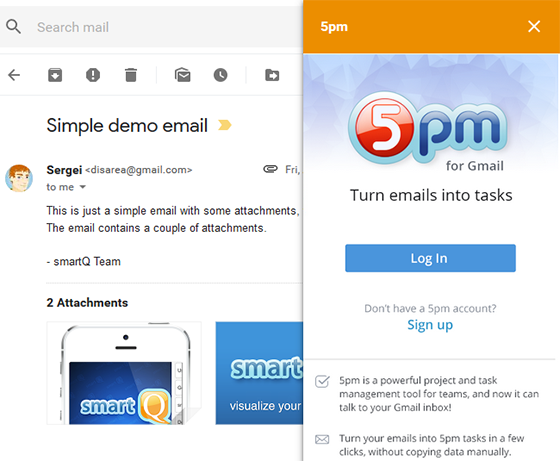 We just released 5pm for Gmail Add-on that helps creating tasks directly from your Gmail inbox! You can install the add-on from G Suite Marketplace.